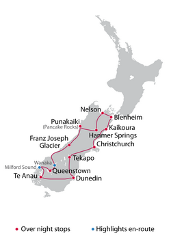 21 days riding through New Zealand roadscapes that most motorcyclists only dream of, The Full Monty motorcycle tour of New Zealand from the Tropics to the Alps. 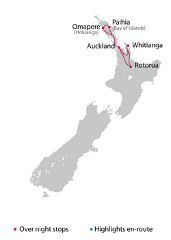 Take a motorcycle ride through the most exhilarating landscapes that New Zealand has to offer. 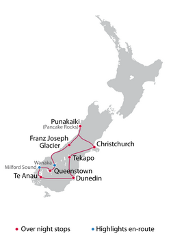 From fiords and glaciers to whale watching and wine country. Soak in the views at Hamner Springs, Mt Cook, Glacier Country, Haast Pass and Milford Sound. 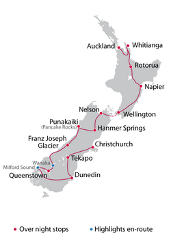 Southern Highlights - Mt Cook Aoraki, Glacier Country, Haast Pass and Milford Sound. The Winterless North: An island paradise and geothermal wonderland. A country of contrasts: From glaciers and crystal clear lakes, to sandy beaches and alpine vistas.